We can start with that Monza's heritage is near unparalleled - racing cars have been in combat around this Italian royal park going all the way back to 1922, and the layout, other than the addition of chicanes and the coming and going of a fearsome banking section, has remained unaltered for almost all of the time since. Only in one season, 1980, did Monza not feature on an F1 calendar. No other track, not even Monaco's, can boast close to that level of ubiquity. It has been the scene of the most astonishing and gallant triumph, the most enthralling and frenzied stipstreaming battle and breathtaking hair's breadth finishes. It's also been the scene of the most horrific tragedy. All of the greats have passed through Monza's gates. Many drivers have been defined here; some have perished. Some spectators have too. But it goes further than this. The ghosts of the legends who used to race before a rapt Monza public still seem tangible; whispering in the trees. The atmosphere of an Italian Grand Prix here always hangs heavy with a discernible sense of trepidation and mythology. You never feel alone in the royal park. The venue too features a weighty reminder of what the sport used to require of its drivers with the vast and haunting banking that still broods, almost vertical, over the Monza track (though some dolt decided recently it was a good idea to resurface it...). It has witnessed things we wouldn't believe but now has had modern competitors turn their backs, and since waits patiently on their return. Monza's ambience is inimitable - all cooked intensity. The temperatures usually are high, the Italian late summer sun usually beats, it accentuates the deep colours of the park, and the shadows that stretch across the track from the lush trees seem almost a trademark. 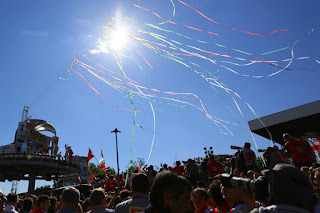 Then there is the sheer passion of the Ferrari-loving tifosi that gather here annually in vast numbers, bedecked in red, waving flags, and providing an atmosphere with an fervour and partisanship that is never replicated elsewhere. Other venues' crowds - Britain's, Brazil's and a few others - have plenty going for them, but they're still not quite Monza's. Not even Imola's gatherings in the same country quite matched it. 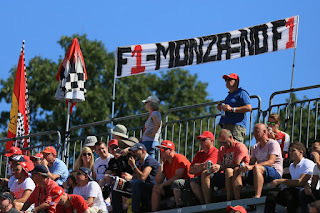 But underlining this game's persistent absurdity even with all of this another Monza perennial - at least one acquired in recent times - are its days as an F1 venue seeming numbered. It would be unfair to say that Bernie Ecclestone doesn't get the stuff outlined, but it is true that for various reasons he gets the bottom line more, and Monza without major government backing has struggled for some time to provide the cash that the modern-day sport demands. 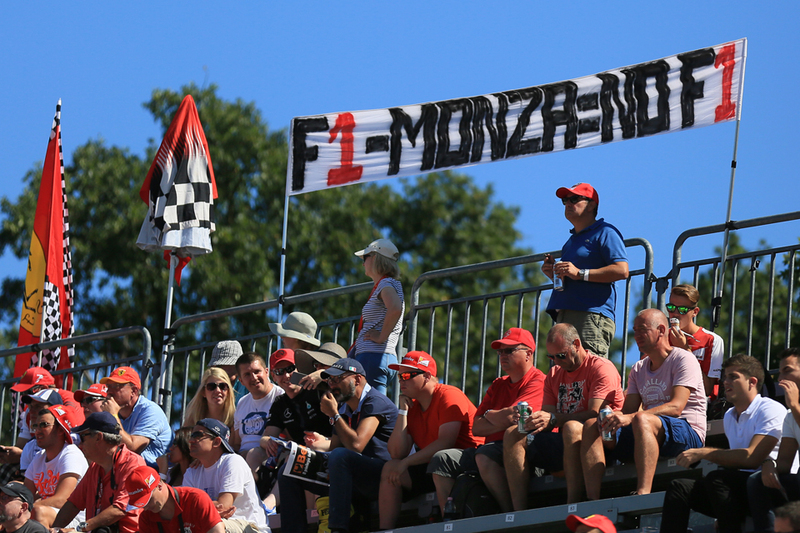 Monza's future as an F1 venue isn't quite as critical as it appeared 12 months ago, but unwelcome noises still linger, with it said that Bernie has a deal in place with Imola to host the Italian Grand Prix instead from next year. While most would welcome Imola's return they would be less enthusiastic if it meant Monza's passing. One hopes though, particularly given it's no more clear where Imola would get the required readies from, that the deal is typical Bernie pressure-applying. Yet even if we are somewhere within this grand old lady of motorsport's final act on the F1 stage then we can at least be assured that even if cars are raced for several more centuries nowhere will ever quite recapture what it was about racing here. You either got soul or you don't. Monza has it. And another way that Monza is unique is these days in its layout. It has always been synonymous with speed, and remains so; even today it boasts the highest average speed of all. As mentioned it isn't the undulating driving challenge of Spa, rather it is dominated by lengthy straights separated mainly by chicanes. Only the famous Parabolica that ends the lap would look in place at the Ardennes venue. Nevertheless given both tracks require a low downforce chassis spec Spa is often a good indicator of Monza form, which of course is good news for the Mercedes team. It should fly down Monza's straights as well as be stable in the chicanes between them. 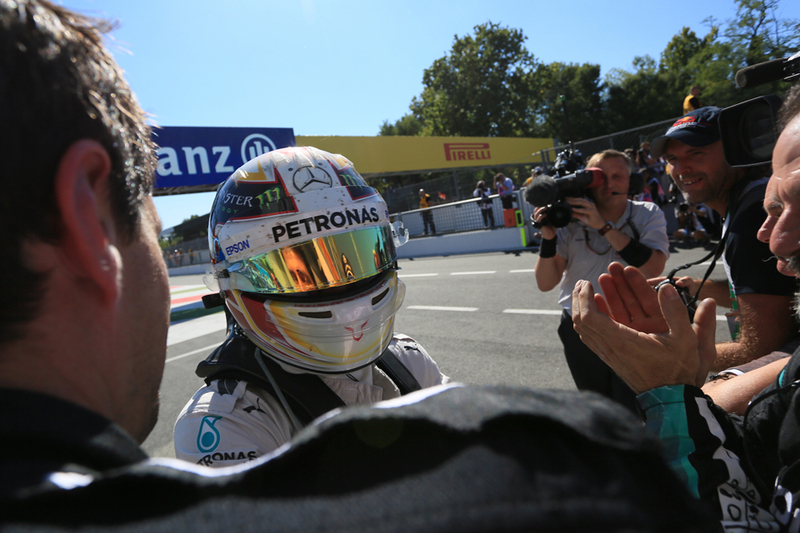 Lewis Hamilton won here at a canter last year and indeed has bagged the win in three of the last four visits. Nico Rosberg's time here has been patchy however with a frustrating run last year with an old-spec engine and before that losing the 2014 win by taking an escape road detour. And from the championship angle it feels like yet another race weekend wherein Rosberg needs to get something over on Hamilton somehow, as pretty much every race weekend has felt for a while. After that minds go to Ferrari, and not just because this is its home gig. Even allowing for its recent struggle, on paper its cars should go well here, as its engine is the strongest part of its package plus it tends to put more resource than rivals into a low downforce set-up for Monza given the political importance to the team of a good result here. Moreover at Spa the red cars looked more competitive than in a while and boss Maurizio Arrivabene spoke of corners being turned. Kimi Raikkonen might even have pinched pole position there while Sebastian Vettel insisted a double podium would have been for the Scuderia's taking if not for, you know, that at turn one. But you could argue that therein lies the flipside, that somehow, one way or another, the team hasn't quite been making the best of what it has in recent months, and persistently. We can also debate the extent that kingpin Sergio Marchionne's public hurry-ups are a help of course. Being at home this weekend will only increase their weight too. Merc's closest challenger of recent times Red Bull may struggle relatively though. Daniel Ricciardo let on rather after the Spa race that getting on the podium at Monza will be like a win to the team. It indicates that he doesn't expect the RB12 to go toe-to-toe with the Mercs, and perhaps not with the Ferraris either, presumably due to its down-on-power Renault engine. But the Bulls haven't been too shabby in the speed traps in recent races plus we can even recall a Red Bull winning at Monza despite being slowest on the straights, instead prioritising grip and acceleration. As ever it would be foolish to write the Milton Keynes squad off in advance. Of the rest as in Spa it will likely be the Mercedes engine customers that are best placed. And in Spa we saw that the Force Indias are in fine fettle and have just seized fourth place in the constructors' table from Williams indeed. This might be a good place for the Grove team to get the place back though as it has gone well here in recent visits. Last year it bagged third and fourth and left the Force Indias far behind. But on the flipside Williams had rather insistently underwhelmed in recent weeks and months. A bit like the track layout and entertainment value, strategy options at Monza are often incongruously constrained too. 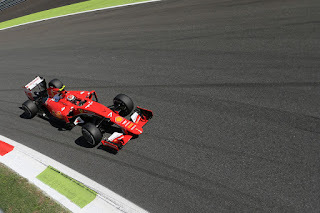 Races here tend to be one-stoppers pretty much all round, a combined consequence of low tyre wear, a big pit stop loss time (22-24 seconds) due to a lengthy pit lane alongside a 200mph straight and a relatively weak DRS given the required skinny rear wings - overtaking has for years been oddly lacking at Monza. Qualifying therefore is particularly important. The one-stoppers also have been related to conservative compound selections from Pirelli. Last year the Italian firm tried to shake everyone out of the single halt approach though by bringing the soft and medium rather than the usual medium and hard. It didn't work though as most still managed to one-stop though some found matters a bit marginal. This time though Pirelli's gone one softer still with its additional selection, with the supersoft available. It may force those qualifying in the top 10 to have an extra stop and as in Spa some of the quickest folks may well try to get through Q2 on the soft tyre, so to make a race day one-stopper still possible. It may not be good news for Merc in general which often has struggled on the supersoft tyre. Yet even if one-stoppers are settled on there still is some room for variation, such as with Ricciardo last year starting 19th and finishing eighth as well as Sergio Perez in 2012 passing several cars to finish second, both via the 'reverse' approach of starting on the harder compound. 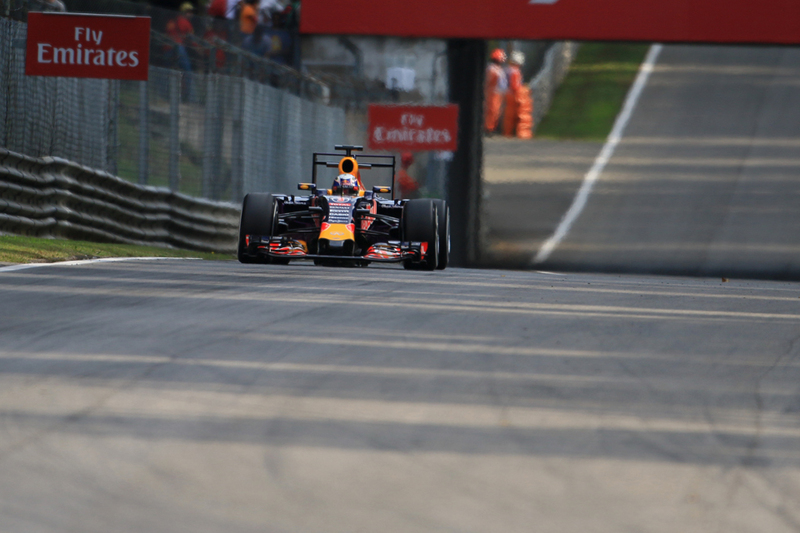 Ricciardo also made up several places in 2014 from delaying his stop so to attack on fresher tyres later. Beyond these simply timing your only stop as early as you dare in order to undercut opponents will be the main strategy play. But somehow such things don't diminish from what it is about Monza, that amounts to something wonderful. One can only hope that this indeed isn't the last occasion that we can all experience it.